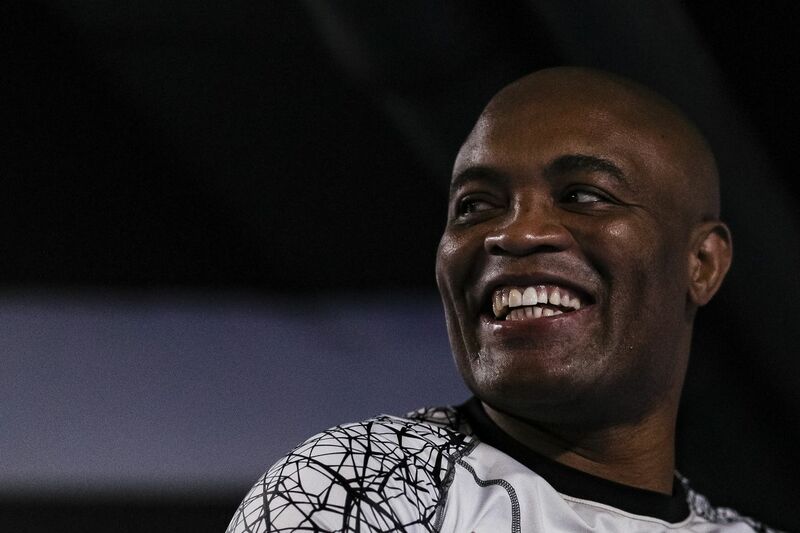 Former UFC middleweight champion Anderson Silva is always on the look out for another shot at UFC gold, but the legendary Brazilian fighter isn’t holding his breath here in 2019. Silva, 44, only has a few fights left on his current UFC contract. He intends to finish out each and every one of them, starting with a showdown opposite Jared Cannonier at UFC 237 this May in Rio de Janeiro, Brazil. If his remaining fights result in a middleweight title shot then “Spider” will be happy to oblige. But at this point in his career, Silva is content to simply compete and put his heart on the line every time he steps inside of the cage. “I never put something in my mind like, ‘Oh I need to fight again for the belt,’” Silva told reporters earlier this week ahead to UFC 237 (h/t MMA Junkie). “No. That’s a part in my life I passed. But I continue to fight. But I don’t know – maybe I have a new opportunity to fight for the belt. I don’t know. While most fighters would try to parlay a performance like Silva’s into another shot at a top contender, “Spider” isn’t looking to pick his shots en route to a title shot. 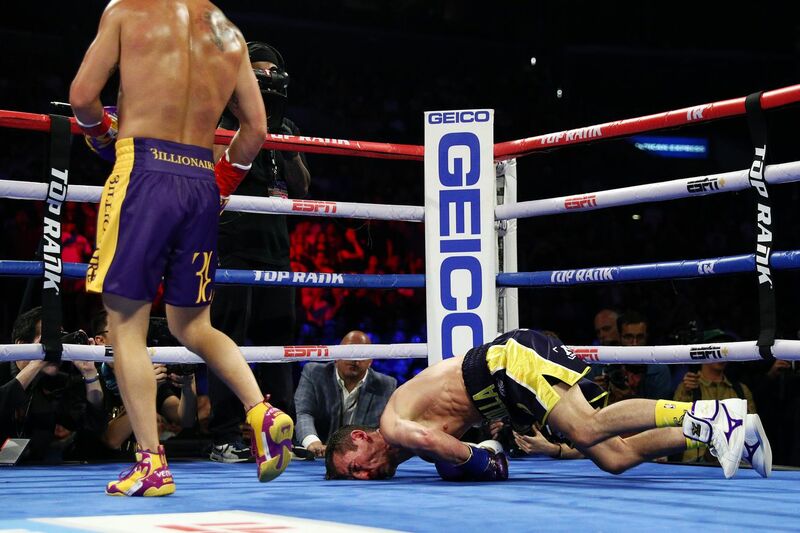 He’s simply trying to provide everlasting memories for fight fans everywhere. When asked how many fights he has left on his current UFC contract, Silva couldn’t give an exact answer although he believes it’s three or four. Regardless, “Spider” is eager to make every single one of them count, whether we all like it or not. 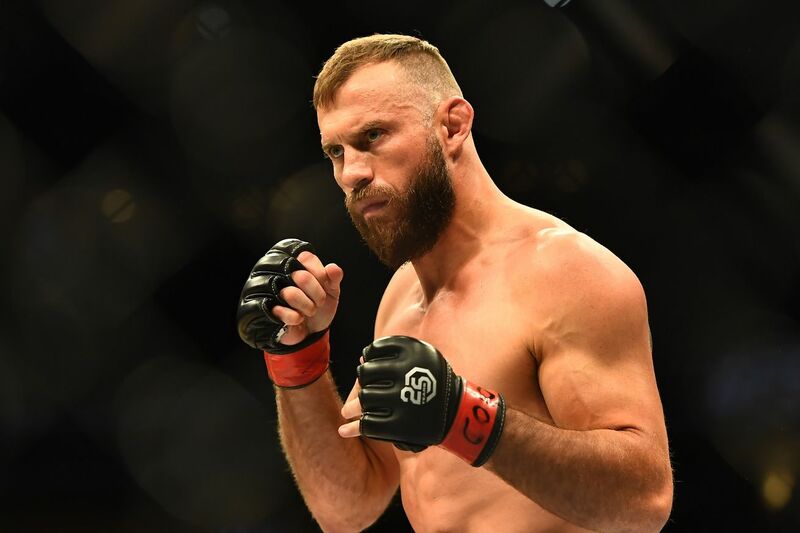 For more UFC 237 fight card news click here. Midnight Mania! If TJ Was Juicing The Whole Time, Should Cody’s Title be Reinstated? June 14th in Madison Square Garden The best grappler in MMA returns! 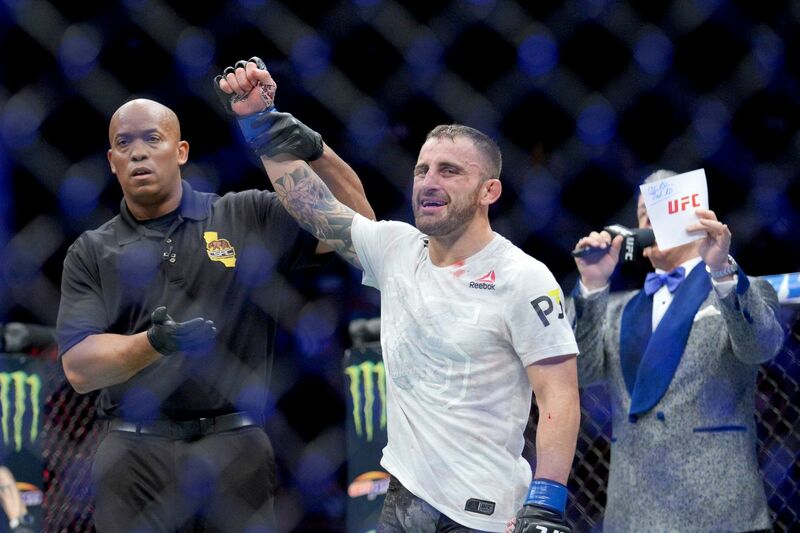 UFC featherweight contender Alex Volkanovski is not scared to take on any and all comers. He saw Jose Aldo destroy Renato Moicano and thought to himself, that’s a guy I want to fight. Aldo, though, didn’t seem to know who he was when asked about him, something Volkanovski said he wasn’t offended by. Of course, he would take a title shot against Max Holloway immediately with no complaints. 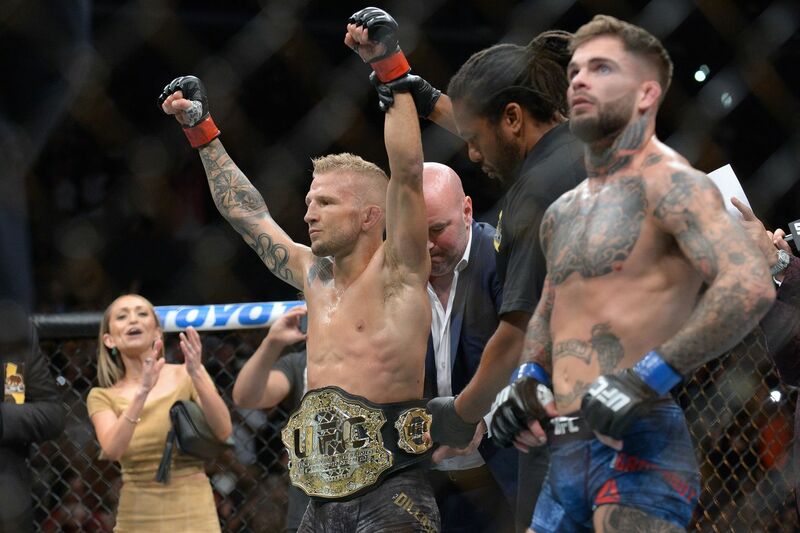 Right now, he has the best case for a title shot in the division, coming off a knockout win over Chad Mendes, and before that, a lopsided win over Darren Elkins. At 19-1, no one in the UFC has been able to stop him, as he’s racked up a 6-fight win streak. Max hasn’t faced a dedicated wrestler since his split decision loss to Dennis Bermudez in 2013, and if fellow cardio machine Volkanovski could find success with his takedowns, he could make a fight with Max really interesting. However, he seems more concerned with staying busy than waiting for a title shot, confident one will come his way after one more win at most. A bout with Brian Ortega was suggested as well, and Volkanovski was open to it, but said he didn’t want to wait until Ortega’s hand healed. “I’m not scared of anyone in the division. Anyone that’s gonna move me forward. To be honest, I think Frankie Edgar’s the most likely, the most realistic. He’s the only one that can fight anytime soon. Aldo doesn’t- that’s why I said, if you want a quick turnaround, I just want to fight. Frankie Edgar would be a fascinating matchup as well, as both wrestle-boxers are known for their cardio, pace, and nigh-unbreakable wills, though Edgar has compiled a much longer, more illustrious record at this point in their respective careers. I like hearing Israel Adesanya talk up Anderson Silva up. Legends deserve respect. Let’s hope Cory Sandhagen vs. John Lineker isn’t one of those cursed fights like Condit-Brown or Khabib-Ferguson. UFC is hoping to rebook the Cory Sandhagen vs. John Lineker fight that was originally scheduled for Jan. 19, sources say. Current frontrunner date is April 27, but the fight isn’t signed just yet. I don’t have a desire to be in a place this cold unless I’m snowboarding, but this is beautiful. • •❄️ ✨• Snow Seeker • What happens when you throw up boiling hot tea into the air when it’s below freezing? Magic that’s what. Because the water in the air is super energetic, it freezes instantly and dances in the light creating this super cool effect. Easy to see why everyone loves doing this when it gets cold outside. I couldn’t decide on what frame I loved best, so I posted a couple of my favorite angles of this interesting phenomenon. Let me know what angle is your favorite ? @ourfinland @rukafinland Stay Adventurous Dear Friends!! 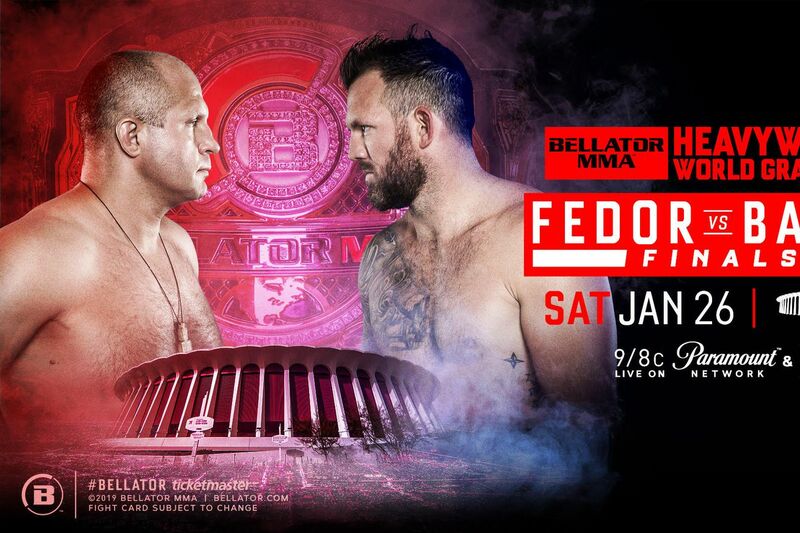 Bellator 214: “Fedor vs. Bader” takes place this weekend (Sat., Jan. 26, 2019) at The Forum in Inglewood, Calif., with Ryan Bader and Fedor Emelianenko squaring off in the Paramount Network broadcast main event of the evening. No matter who wins the Grand Priz heavyweight finale tomorrow night, the loser can be consoled by the size of the check he cashed. For their efforts both Emelianenko and Bader will receive six figure salaries according to MMA Fighting, with Fedor getting $ 300,000 guaranteed (no win bonus) and Bader getting half as much at $ 150,000 (also no win bonus). They are not the only fighters on the main card who will pocket large checks for one night’s work. Indeed, co-main event attraction Aaron Pico will bank a respectable $ 45,000 with an optional $ 45,000 win bonus, while featherweight opponent Henry Corrales will earn $ 35,000 with a potential $ 35,000 win bonus. The co-main event winner may very well land a future title shot against current champion Patricio Freire. Not bad pay for one night’s work if you can get it. The first season of the Professional Fighters League is about to come to a close, as six titles will be on the line Monday night with the winner of each earning $ 1 million.